This morning we were up early to catch a bus from Tokyo to Nagoya. 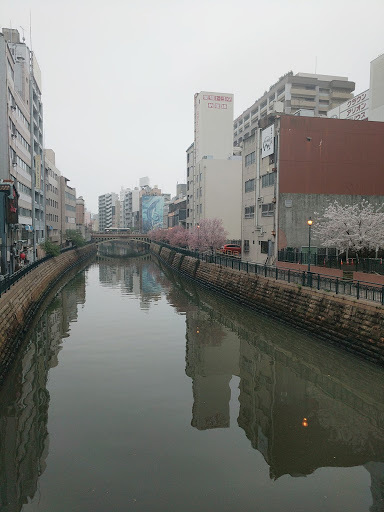 Bus travel was something new to us on our Japan travels but with our rail passes not yet activated it was the cheapest way to make our journey. I had prebooked the journey beforehand on WillerExpress, costing us 2950 yen each (approx £20). 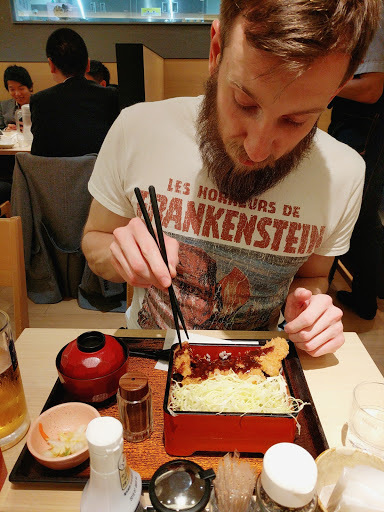 I was pretty excited to check it out, all the Japanese ways of travel had impressed me up to this point. We departed Shinjuku bus terminal at 7.30am. The bus totally superseded my expectations, the standard was so much higher than I’ve experienced in England. 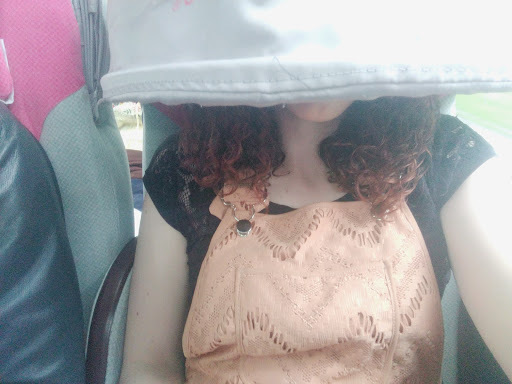 The seats were wide, with good leg room, a comfy brushed cotton seat and even a hood to block out light. Me doing a fantastic job of showing off my hood! The journey took 4.5 hours in total and that involved two half hour service stops. Services in Japan are pretty good so the stops were interesting, looking at all the different things being sold there, and of course we know the toilets are damn good! We arrived in Nagoya early afternoon. Unfortunately it was a grey day so we didn’t get the see the city as its best but it seemed quite an industrial city, with many skyscrapers and business style buildings. The city has connections to the automotive, aviation, technology and ceramics industries so this makes sense. 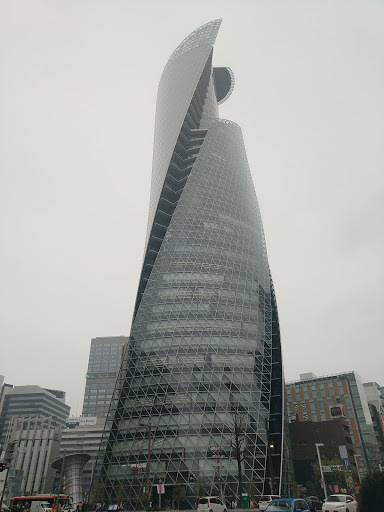 I didn’t quite fall in love with it but I didn’t expect to, for us Nagoya was acting as a layover to our next destination. We made our way to our hotel, the Via Inn Nagoya Shinkansen Guchi. My main reason for choosing this hotel was it’s great central location, very close to the train station. We paid £80 for the night for a non smoking double room. 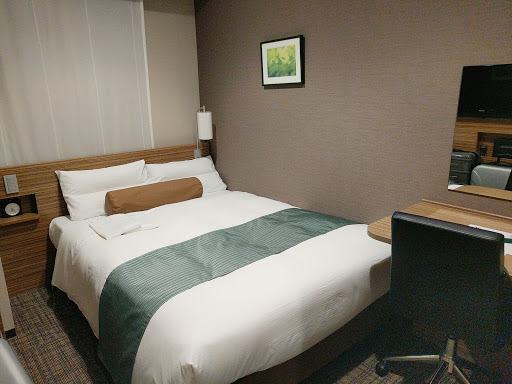 The room was very compact, as is typical in Japan, but it was clean with a very comfortable bed. 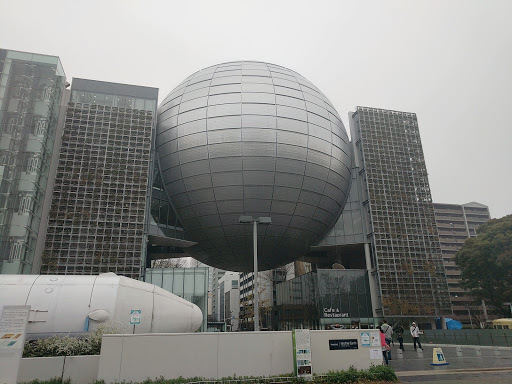 After checking in we walked to the science museum, a very distinctive looking building featuring a large metallic globe, which houses one of the world’s largest planetariums. The entry fee for the museum is 400 yen, you pay an extra 400 yen to get a ticket for the planetarium show. 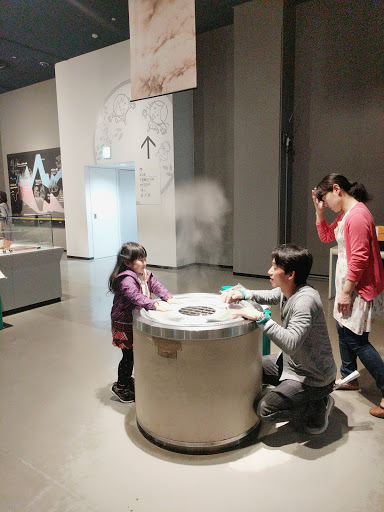 There was an additional 1000 yen fee to see the special exhibitions, which we chose not to buy. The science museum was very interactive. All the displays were in Japanese but it was still really enjoyable. 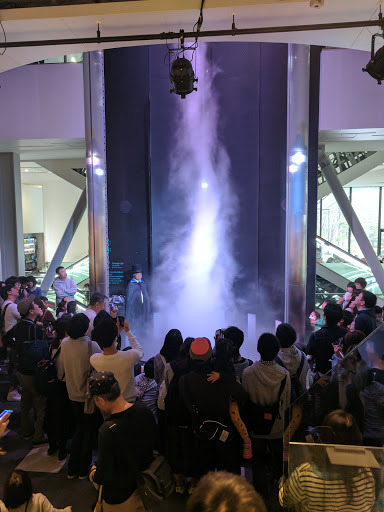 There was a lots of hands on exhibit and even a tornado simulator to watch. 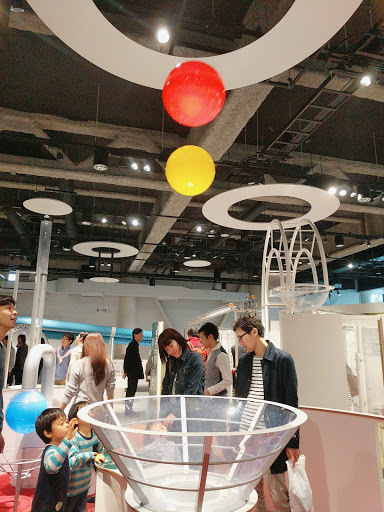 The exhibitions were very child- friendly and it was a joy to see so many Japanese children enjoying the museum, they’re so polite! 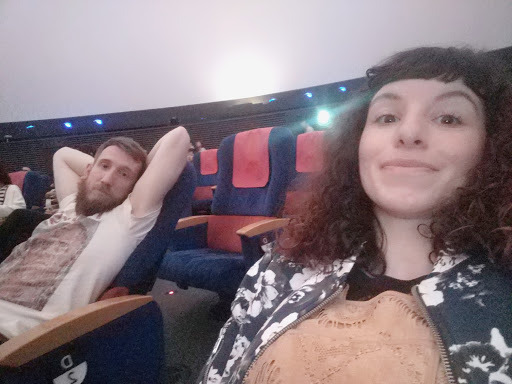 Our planetarium ticket was timed and included seat numbers too. The theatre was very spacious, there was heaps of room around each seat so you could spin around and see different elements of the room. 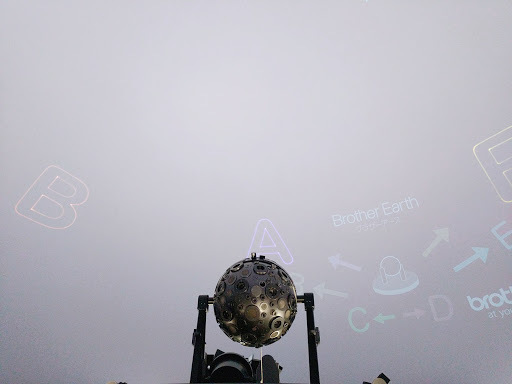 The planetarium show lasted 50 minutes and whilst in Japanese there was lots to watch. We left the planetarium pretty hungry and stopped at a place nearby (of which I didn’t get the name!) which was really nice. All the food on their menu was served as a set meal, including soup and vegetables. They also offered an English menu and the service was super quick. On our way back to our hotel we smelt the unmistakable aroma of melonpan. Melonpan is one of my all time favourite Japanese things, a sweet bun wrapped in a thin layer of cookie dough. 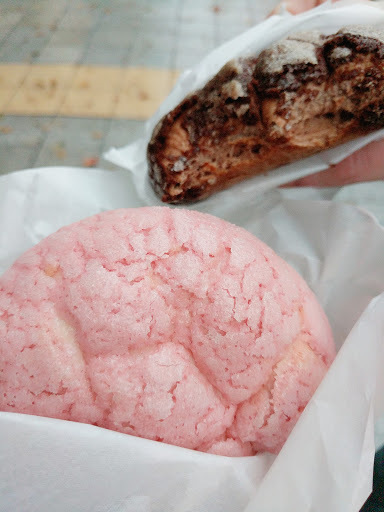 My visits to Japan taught me that nothing can beat a freshly baked melonpan, I mean I literally got withdrawal symptoms coming back to the UK. Adam and I grabbed one each, strawberry for me and chocolate for him, and gobbled them down. I tried to take a picture of my beautiful melonpan and Adam shoved his half eaten shitshow of a melonpan into my picture, not impressed! After our super early morning we pretty much retired to bed after drying off, ready for another bright and early morning! I’m sad to hear you didn’t fall in love with Nagoya.